featuring old world winemaking, wine tasting, seasonal menu, and food pairings. 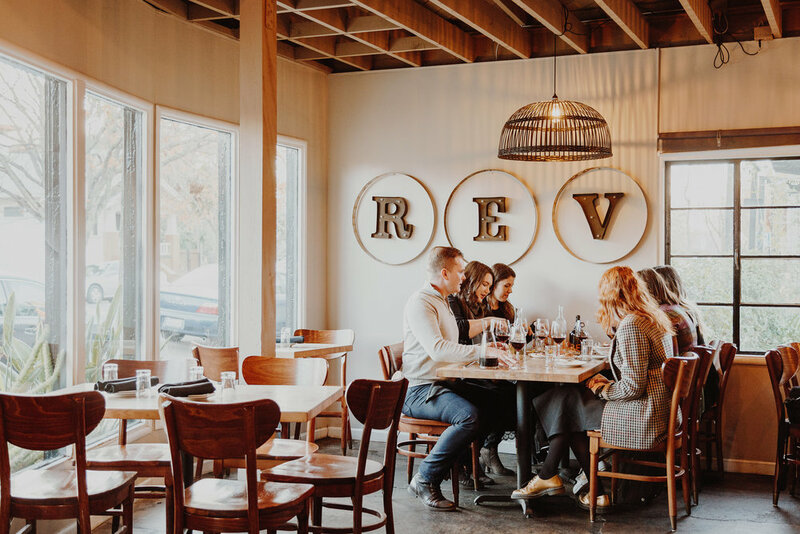 A family owned and operated business since 2007; Revolution Winery & Kitchen is devoted to the notion that the expression of place, terroir, is an important pursuit. Our mission is to locally produce wine and food that is the best expression of Sacramento Terroir. From farm-to-fork to farm-to-glass, we make high quality food from the finest local ingredients and high quality wines with the best fruit available. With fruit from Walker Vineyards, Linsteadt Vineyards, Wilson Farms, and Fields Family Vineyards, we receive grapes in our boutique winery-bistro, crush and ferment, bottle and offer tastings to the public all in a single facility. OUR KITCHEN IS A TRUE EXPRESSION OF FARM TO FORK CULTURE. WE SOURCE FRESH AND LOCAL INGREDIENTS TO BRING BOTH UNIQUE AND CLASSIC PAIRINGS FOR OUR CUSTOMERS TO ENJOY SACRAMENTO TERROIR IN EAT & DRINK. Treat your Mama to the perfect Mother’s Day! We are now accepting reservations for parties of 4-12 for Mother’s Day Brunch. Our Brunch menu can be viewed above- don’t miss our craft mimosas! Our famous burger paired with a glass of the house wine! Follow us on social media, @revolutionwines, to find out more about our events! whether hosting a business meeting, team building event, a birthday party, or a corporate mixer, revolution wines' winery & cellar are the perfect backdrop for your next special event! our unique location and setting paired with exceptional service GUARANTEES an unparalleled experience. Sign up with your email address to receive Revolution news, events, and updates.